Despite automation and technology, our days seem shorter than ever. Between work, school, family obligations, and social activity, the hours fly by. Are we going to find time to coordinate our wedding? Our son or daughters bar or bat mitzvah? Well – help is here in the form of event planners. Professionals who do what they do best to make your celebration the most wonderful, memorable and as stress-free as possible. What are the benefits to hiring a party planner professional? 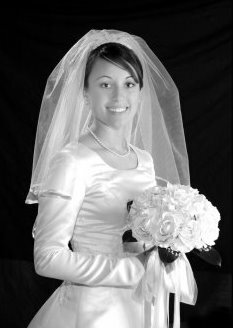 • Time, time, time… just think of the hours you WILL NOT have to invest in coordinating your affair. Not only will you save precious time by letting experts do your leg work, but good party planners are already knowledgeable about the best services out there. All you have to to is show up for appointments, approve designs, locations, menus, etc. • Experienced and competent professionals have a portfolio of vendors that they have worked with in the past, and know to be competent and reliable. • Party coordinators often get better rates, as they are in a stronger position to negotiate price. • When you find the coordinator that is to your liking, you will find that he or she serves not only in contracting, overseeing, and coordinating your affair, but comes up with creative ideas to enhance yours. • NUMBER ONE BENEFIT — reduce your STRESS! • Are you and your planner on the same “wave length?” If you feel pushed, or coerced – this union is not for you. • Make sure your coordinator understands your budget and sticks with it. 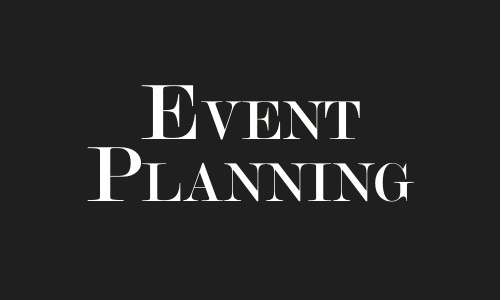 • Verify the Event Planners experience, contacts in the industry, negotiating power, ability understand contracts (so you are protected from hidden charges, or in case of default). • Discuss compensation in detail, and verify if there any hidden or extra charges, such as travel expenses, telephone, etc. • Have everything documented in WRITING. We’d Love To Plan The Bris (Circumcision) For Natalie Portman’s Baby Boy! By now, there’s little doubt that Kate Middleton‘s wedding gown was nothing short of a bridal fashion-quake — a long-sleeved, full-skirted rush of satin and lace that’s likely to sweep away the ubiquitous strapless silhouette in the same way that Carolyn Bessette Kennedy’s unfettered slip dress made everyone forget those ’80s mega-poufs and faux tiaras. But look more closely and you’ll see that the rise of the regal began well before Catherine ever set foot in Westminster Abbey in her fine-boned gown by Sarah Burton for Alexander McQueen. Coincidence? Prescience? Whatever you call it, a classic-but-modern sensibility is everywhere this spring, from Hollywood‘s red carpets (where stars likeMandy Moore and Scarlett Johansson looked wonderfully fresh at this year’s Academy Awards covering up their shoulders) to New York’s party scene (where sleeves-down-to-there abounded at last month’sCostume Institute gala honoring McQueen’s career) to the recent New York bridal runway shows (which offered a more-than-passing nod toGrace Kelly‘s 1956 Helen Rose gown, still the ultimate in wedding chic). The first hint that designers were tiring of the strapless silhouette came nearly two years ago, when businesswoman and social princess Ivanka Trump chose a Vera Wang confection with illusion top and elbow-length sleeves that owed both its delicacy and its modesty to Kelly. In December, Nicole Richie‘s wedding dress was another homage to Grace, this one a stunning Marchesa with the sort of long sleeves that haven’t reigned since Priscilla married Elvis. This spring, Trump’s custom-made gown inspired the first White by Vera Wang collection, the designer’s new lower-priced line for David’s Bridal. But it’s not just Hollywood — or British — royalty looking to cover up. Vassa Halatas, of WeddingDresser Couture by Vassa in Woodmere, noticed the bridal tide shifting last year. “They’re tired of the No. 1 most worn silhouette and are asking for higher, more creative necklines and sleeves — for the fashion statement, if nothing more,” says Halatas. And, no, the new modesty doesn’t mean you have to forgo sexiness. “When you cover up one part of the body, you can reveal another,” says Modern Trousseau designer Callie Tien. Her solution: a dress with high neckline, long lace sleeves and super-short hemline. No doubt, your very own prince will approve. RACHEL HANDLER is struggling to say something funny or perhaps amusing or at least clever about horses. Her mind is empty. She can’t recall the last time she was on a horse or even saw a horse. The minutes fly by. Horses are nothing to joke about. Ms. Handler writes for Groupon, the e-mail marketer that was casually founded in the pit of the recession and almost immediately became a sensation worth billions. The musicians, poets, actors and comedians who fill its ranks are in a state of happy disbelief over the company’s success. In the age-old tradition of creative folk, they were just looking for a gig to support their art. Now stock options have made some of them seriously wealthy, at least on paper. That just about sums up Groupon’s brief history, which has been meteoric even by dot-com standards. Groupon, which is expected to go public within the next year, is either creating a new approach to commerce that will change the way we eat and shop and interact with the physical world, or it is a sure sign that Internet mania is once again skidding out of control. Or both. The big Internet companies owe their dominance to something singular that shut out potential competitors. Google had secret algorithms that gave superior search results. Facebook provided a way to broadcast regular updates to friends and acquaintances that grew ever more compelling as more people signed up, which naturally caused more people to sign up. Twitter introduced a new tool to let people promote themselves. Groupon has nothing so special. It offers discounts on products and services, something that Internet start-up companies have tried to develop as a business model many times before, with minimal success. Groupon’s breakthrough sprang not just from the deals but from an ingredient that was both unlikely and ephemeral: words. Words are not much valued on the Internet, perhaps because it features so many of them. Newspapers and magazines might have gained vast new audiences online but still can’t recoup the costs from their Web operations of producing the material. Groupon borrowed some tools and terms from journalism, softened the traditional heavy hand of advertising, added some banter and attitude and married the result to a discounted deal. It has managed, at least for the moment, to make words pay. IN 177 North American cities and neighborhoods, 31 million people see one of the hundreds of daily deals that Ms. Handler and her colleagues write, and so many of them take the horseback ride or splurge on the spa or have dinner at the restaurant or sign up for the kayak tour that Groupon is raking in more than a billion dollars a year from these featured businesses and is already profitable. There used to be a name for marketing things to clumps of people by blasting messages at them: spam. People despised it so much it nearly killed e-mail. The great achievement of Groupon — a blend of “group” and “coupon” — is to have reformulated spam into something benign, even ingratiating. Ms. Handler is working on an offer for Pine River Stables in St. Clair, Mich., a place she has never been to. It is the stables’ first deal on Groupon: $18 for a one-hour ride for two people, half the regular price. It takes Ms. Handler about 50 minutes to assemble the write-up, which is a few straightforward paragraphs explaining the details with the occasional gag as sweetener (The stables are closed “on Wednesdays, in the event of bad weather and on Horse Christmas.”) She puts off writing the first sentences, the ones that are supposed to seduce every Groupon subscriber in Detroit — either to go horseback riding or at least keep reading Groupon’s e-mails. Still stumped, she browses an online thesaurus. She studies the Pine River Web site for the umpteenth time. She wishes she lived in a world without horses. Good enough. She moves the copy along to the fact-checking department. Like many others at Groupon, the 23-year-old Ms. Handler comes from an arts background. At the University of Michigan, she studied English and global media studies, wrote TV reviews for the student paper and short stories for fun. Groupon shuns being thought of as a marketer or, worse, an ad agency, promoting cheap pizza or sushi for anyone who wants to hire it. The hope instead is that its users will eventually perceive it as an impartial guide to a city or a neighborhood, somewhat in the manner of the local paper’s weekend section. With more than 400 writers and editors, Groupon’s domestic editorial staff is on the verge of eclipsing the big name across the Chicago River, The Chicago Tribune. Groupon just introduced a smartphone application for Chicago users called Groupon Now, which offers deals near where the person happens to be. The application has two buttons, one if you’re hungry, the other if you’re bored. Any publication, Web site or marketer that can control where people go when they ask themselves these questions on a dull Saturday night has a shot at dominance. Aaron With is Groupon’s editor in chief. The 29-year-old Mr. With has no journalism or marketing background: he worked for a Chicago nonprofit and, more relevantly, was once in a band with Andrew Mason, Groupon’s chief executive. Any Web site can offer a daily deal, and in the wake of Groupon’s success just about everyone is. There are hundreds of knock-offs and imitators, some of them trying to undercut the original by charging the merchant less than Groupon does. Others try to cater to specialized audiences (babies, gay people). Groupon’s closest competitor, Living Social, is backed by Amazon, the retailing giant that has a history of winning. “We’re not at all concerned any competitor is going to come in and start writing like us,” says Mr. With. “They try but fall flat.” (Living Social declined to comment.) In other words, words will save Groupon. Many more words. Mere words. CHICAGO has revolutionized retailing before. In 1872, a dry-goods salesman named Aaron Montgomery Ward wearied of visiting far-flung stores, so he mailed descriptions of goods directly to rural residents. The orders were sent by a new delivery system that wreaked havoc on traditional commerce: the railroad. Ward’s innovation was as much of a cultural achievement as a merchandising one — farmers read his catalogues for pleasure, dreaming of a better world. They were the foundation of a retail empire that lasted more than a century until the management failed one time too often to anticipate a shift in consumer tastes. Ward’s went bust a decade ago. Groupon’s corporate headquarters are in the old Montgomery Ward building, which should be reminder enough of the dangers of neglecting the customer’s desires. But Mr. Mason, the chief executive, sought to underline the point by putting on the wall certain business magazine covers. They celebrate tech start-ups — the social network Friendster, the music site MySpace — at the moment they seemed poised for greatness, before they irrevocably stumbled. Since December, the editorial team has been housed in a nearby skyscraper, where they have yet another reminder that marketing cannot trump reality forever. The previous tenant was an investment firm that vacated the premises in such a hurry that half-eaten sandwiches were still on desks when Groupon showed up. The abrupt departure was apparently precipitated by a Securities and Exchange Commission court order freezing the firm’s assets because of allegations of fraud. The spoiled sandwiches are gone, but the investment firm’s giant logo remains in the Groupon reception area, stacks of its literature are stuffed in a corner, and the principles of life as enumerated by John D. Rockefeller in 1937 are still bolted to the conference room wall. The fraud accusations have given the saying about the law — “I believe that the law was made for man and not man for the law” — a whole new meaning. Much of the Groupon suite lacks finished ceilings or other signs of permanence. The occupants of offices are indicated not by plaques but slips of paper taped to the wall. Few of the cubicles have personal touches. Everything is anonymous and just about everyone is under 30. In the mythology of Silicon Valley, tech companies hire only the geekiest engineers, weeding out the pretenders with questions that ordinary mortals could never fathom, like this: How many golf balls does it take to fill a 747? Q. Which is the most interesting way to describe a 4,700-pound chandelier? Not enough people pass the test — the correct answer is B — or ace the sample write-up. “My constant fear is that we’re going to run out of writers in Chicago,” said Mr. Griffith, 27, who in his spare time is a theater critic for The Chicago Reader, an alternative paper. Another reason the employment skews young is because the pay for new writers is less than extravagant — about $37,000 a year. This is a touchy subject with Groupon management, which says it is offering the going rate for workers in their early twenties. Also, promotions are plentiful, even for new hires like Ms. Handler, who joined Groupon in January and is now an editor. “If we ran an irresponsibly high overhead, it could jeopardize our ability to stay ahead in an unprecedentedly crowded space,” says Mr. With, the editor in chief. Some of the earliest employees in every department have equity, but the company declines to say what, if anything, new writers get. Given the tremendous valuations being tossed around for Groupon, there is the potential for deep divisions between the haves and have-nots. About two new editorial workers are being hired every weekday. It is the job of Whitney Holmes, a poet with a fine arts degree from the University of Alabama, to teach them the Voice. Ms. Holmes began at Groupon last August as a writer, then became an editor, then senior editor. At 27, she says she feels kind of old compared to everyone else. She taught creative writing in Alabama, but the traditional assertion in classrooms that writers are born and not made is here reversed. Addressing a new crop of writers at a training session, she seeks first to reassure. “Achieving Groupon Voice is not about being inherently funny. If it were, 93 percent of our writers would not have jobs,” she says. The writers, who have been on the job less than two weeks, laugh uneasily. Ms. Holmes takes them on a brisk tour of the history and theory of humor. Much humor, she notes, is based on superiority — laughing at the well-deserved misfortune of idiots. Groupon doesn’t do this. Incongruity, however, is fine. Shock is not funny, but surprise is useful. Nearly half the writers pick A, but the correct answer is D. Puns are not allowed, spoiled fruit isn’t even remotely funny, and defaming mothers-in-law could irk mothers-in-law. Some other rules: The passive voice is to be avoided and pop culture references are verboten. A write-up for a teeth-whitening service said it was “equivalent to being punched by God twice.” Angry letters followed. The new edict is to substitute Zeus for God, Greek mythology being deemed suitably innocuous. The writers in the class do exercises on hair salons and car washes. Excellence is rare. But they’ll get plenty of practice, doing as many as seven or eight write-ups a day. Which is of course the primary threat to Groupon. It needs to expand while keeping subscribers engaged and those hair salons and car washes happy. Sometimes the payoff for the company offering the service disappears into the blur of words. 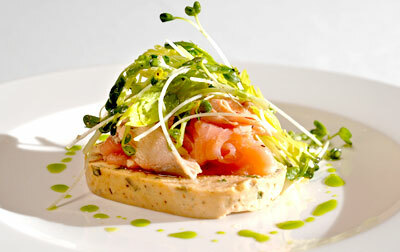 Restaurants have been overwhelmed by too-successful Groupons where they are forced to sell many meals too cheaply. Some question whether any of these customers ever come back for a full-price meal. At a forum on Groupon at the recent South by Southwest technology conference in Austin, a San Francisco entrepreneur called the Voice “incredibly powerful” but said the actual implementation of his company’s deal was fraught with missteps. GROUPON was first noticed by people who do not use Groupon when Google tried to buy it in December for a reported $6 billion. It was an immense sum for a two-year-old company, but this was one deal that Groupon didn’t like. Instead, it got the money — $950 million — to expand through another round of venture capital financing. The company celebrated with a self-mocking press release: “Groupon raises, like, a billion dollars.” It boasts that its editorial process is now eight stages long. Remember the stable with the horse ride? After the initial write-up was complete, it went to Benno Nelson in fact-checking. Mr. Nelson, 25, has a passion for theater — he is an assistant director at an acting conservatory — but you have to eat, and this is much better than his previous day job of selling kosher pretzels to bars. “Groupon, like theater, is all about text and context,” he says. Then it’s on to the Voice editor, Ben Kobold. In the tradition of editors everywhere, he glances at the copy, sighs and slumps down in his chair. “Too much zaniness, no real logic,” said Mr. Kobold, 27, an alumnus of the Second City comedy troupe’s improvisation and writing programs. He keeps the first two words — “without horses” — as a springboard, and starts improvising. “Without horses, salt licks would only dissolve during torrential downpours or the warm tongue of a weary traveler,” he writes, vividly if lacking a bit of grammar. Eddie Schmid, an editor who shares Mr. Kobold’s cubicle, looks over. “That’s kind of gross,” he volunteers. As with every deal, the stables write-up will be joined with a riff from one of the four Groupon humor writers. The more you can laugh with Groupon, the more you will like it. Or so the company hopes. “With piano recital season coming up, faking one’s own death is becoming more and more popular,” was the beginning of one recent riff. Angry letters followed. Cullen Crawford, the writer, shakes his head. “Just because it had the word ‘death,’ ” he explains. The humor writers share a corner office. Witty chitchat does not fill the air à la the Algonquin Roundtable. Mostly, they stare at their computers. 2012: Rent a monkey for a week. 2014: Time machine back 6,000 years to witness creation of the Earth. 2025: Groupon switches to door-to-door exclusively. Again with the monkeys! Mr. Weiner is amused, not so much by what he is writing as the fact that he is getting paid to do it. Before Groupon, he worked in a dog kennel, where one day a dog died right in front of him. Mr. Weiner was worried the owner would be heartbroken or furious, but it turned out she had planned it to happen this way. She didn’t want the mess of the pooch expiring at home. Groupon seems likely to fulfill the grander dreams of its investors and early employees by going public. The initial public offering this month of LinkedIn, which is basically a bulletin board for millions of professionals to list their résumés, did much better than anyone expected, doubling on the first day. LinkedIn’s profits are negligible by comparison, but its valuation is now $8 billion. Doubtless Groupon will present its I.P.O. in sprightly Groupon style, probably something like this: “Sometimes it’s not enough simply to appreciate e-mails from clever people. Sometimes you want to own them too.” The offering could value the company at $25 billion, which would top Google’s 2004 debut as the richest ever for an Internet company. Perhaps that sum will seem in hindsight to be a great deal, as was true with Google itself. Or maybe it will be Groupon’s best joke ever. French consulting firm Miratech just published a research report claiming that users reading news on an iPad are less focused than when reading a newspaper. Keeping Kosher: Rabbi Sholom Lipskar wraps tefillin with a prisoner in a Florida jail. Published April 30, 2012, issue of May 04, 2012. The tiny population of religious Jews in prison has plenty of company when it comes to keeping kosher behind bars. A number of secular Jews, messianic Jews, Black Hebrew Israelites and, in many cases, people with no Jewish background at all eat a traditional Jewish diet. Jews, according to one estimate, make up just one-sixth — or about 4,000 — of the 24,000 inmates who eat kosher food in American prisons. And since kosher food can cost more than twice as much as regular fare, it’s costing taxpayers millions to feed all those who want to avoid treyf. “It is a major problem, and it creates so much animosity” from prison officials, said Gary Friedman, founder of Jewish Prisoner Services International. Friedman provided estimates based on visits to prisons around the country. The popularity of kosher food among non-Jewish inmates is one reason that many prisons around the country are seeking to curtail or change their Jewish dietary programs. But advocates for Jewish inmates say that prisons could easily solve this problem by limiting kosher food to Jews. Kosher food is a hot commodity in prisons for a number of reasons. Some prisoners simply think it tastes better; many others believe it is safer than standard-issue prison fare, according to prison chaplains and advocates. Kosher food also often comes prepackaged, making it easy to trade or sell among inmates. For instance, at California Men’s Colony, a medium and minimum security facility in San Luis Obispo, Calif., prisoners who keep kosher receive three daily meals in a sack that they bring back to their cells. The meals consist of factory-sealed cut vegetables, frozen or non-perishable dishes like lasagna, and whole fruits and vegetables. Inmates frequently trade kosher food for prison-issued paper money, which can be used to buy items in the facility’s canteen. Kosher meals in prison are provided because prisoners in the United States are guaranteed religious freedoms under the Religious Land Use and Institutionalized Persons Act of 2000. If, according to case law, an inmate shows a “sincerely held” religious belief, then he or she is entitled to religious services, such as kosher or halal food. The law is vague about what constitutes a sincere belief. Last year, there were more than 60 suits filed around the country by inmates claiming they were unfairly barred from following a kosher diet in prison, according to the Religion Clause blog, which tracks freedom of religion cases in prisons. About 40 of these were dismissed. Friedman, of Jewish Prisoner Services International, has himself been sued by inmates who claim they were denied kosher food by his organization, which formerly contracted with the Washington State Department of Corrections to provide religious services to inmates. The law “leaves room for individuals to disagree about what religions require,” said Luke Goodrich, deputy general counsel for the Becket Fund for Religious Liberty. The Becket Fund is currently appealing a Texas judge’s decision to bar an Iranian-Jewish inmate from receiving kosher food. The situation is made more complicated by the fact that most American prisons are run on the state level. That means there are 50-plus departments of corrections around the country housing some 1.4 million people, according to a 2010 estimate, each of which has a unique interpretation of the rules about religious practice and diet. In the federal corrections system, there are some 4,127 individuals receiving a so-called Certified Religious Diet out of a total of 217,000 inmates, or about 2% of the population. The diet costs $2.33 per meal as opposed to $0.99 for regular prison fare, and accommodates Jews and non-Jews with religious dietary needs. In order for a prisoner to access the diet, he must make a request in writing and then be interviewed by a chaplain. If an inmate is denied access, he can reapply in six months. According to Goodrich, 35 states currently offer kosher meals in prisons. Prison officials, he said, are “rightly hesitant to set themselves up to say who is Jewish and who is not.” They often leave the decision in the hands of chaplains, Jewish or otherwise. In California, for instance, Jewish chaplains oversee kosher programs at the state’s prisons, feeding kosher meals to about 800 people out of about 140,000 — or about 0.6% of — inmates. California has a strict policy against allowing non-Jewish prisoners to access kosher food, which costs about $8 a day as opposed to $3 a day for the regular diet. Even with the tight rules, California spends some $2 million per year on kosher food. At California Men’s Colony, inmates must fill out forms detailing their familial and religious backgrounds in order to be admitted into the program. Moskowitz said he asks non-Jewish prisoners who want to eat kosher to try practicing Judaism for six months before they can qualify for the special diet. Recently, a messianic Jew named Margarito Jesus Garcia challenged the California system, claiming that a Jewish chaplain violated his religious rights by denying him kosher food. A California superior court ruled against Garcia, but in January, Garcia won his appeal. According to California Department of Corrections and Rehabilitation spokesman Bill Sessa, the department is considering shifting away from providing kosher meals for Jews alone and toward creating a common fare diet to accommodate all religious groups. Sessa said that inmates who keep kosher sometimes “manipulate the system,” asking to switch to non-kosher meals if the food is more desirable. “It gives us reason to think about what we might do differently,” he said. The cost of kosher and halal foods led prison officials in the Indiana Department of Correction to drop their religious dietary programs altogether in 2009, serving those inmates a vegan diet instead. With budgets tight and the money spent on kosher and halal meals doubling every month, an official said the state had little choice. “We got to the point of almost having to choose between correctional officers or special food,” said Stephen Hall, director of religious and volunteer services at the Indiana DOC. In 2010, an Indiana court mandated the DOC to reinstate its religious food program when a Jewish inmate sued. But last year, the American Civil Liberties Union said that the DOC was in contempt of court because it administered a kosher diet to only half of those inmates who identified as Jews, a charge that the DOC denied. “The decision of the court was that if someone has a sincere religious belief, they should have a kosher diet,” said Kenneth Falk, the Indiana ACLU’s legal director. There have also been debates about whether the kosher meals served to prisoners meet religious standards for kosher food. In Nevada last June, a Jewish inmate named Howard Ackerman sued the Nevada Department of Corrections in a class-action lawsuit, contending that the DOC’s new ‘common fare’ menu was not actually kosher. The suit claimed, among other things, that the food was prepared on surfaces where milk and meat were mixed, and that the trays on which the food was served previously held non-kosher food. 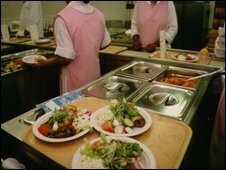 In February, a federal judge issued an injunction in the case to stop the department from serving the new food to inmates. According to Ackerman’s lawyer, Jacob Hafter, the case included about 40 to 50 Orthodox Jews, but also more than 200 other people who wanted the kosher diet. Nevada DOC officials have said they will make sure that the common fare diet meets kosher standards.